I’ve come to the conclusion that certain facial masks, like the Dead Sea Mud Mask, make me break out. My face has me very frustrated at this time. I can tell your products are wonderful and SHOULD work but I’m still getting regular acne. Something told me it was the masks, so I stopped using them for about three weeks. To test my theory further, I used the Dead Sea Mud Mask a couple days ago and exfoliated twice after using it, just to make sure it wasn’t that. Sure enough, when I woke up the next morning, I had a giant, nasty, red zit on the side of my face. I’m not sure what the problem is, because when I use the mask, I exfoliate after with the Tea Tree Facial Nut Scrub, and then since I was noticing it wasn’t enough, I would also use one of those exfoliating cloths. I love the idea of having a little extra cleansing at least once a week, but now I don’t know what to do. I’ve taken to using the masks as a spot treatment, but that doesn’t seem to be going that well, either. I’m sorry to hear about your conclusion/breakouts. And thanks for letting me know that you’re following through with the exfoliation after using the masks – that’s the step that usually gets missed when a breakout happens – so letting me know that helps us rule that out right away. As a side note, I want to say that it sounds like you are doing a lot of things that your skin is agreeing with because the very worst you mentioned was 3 zits a week. Some people would LOVE to be in your skin- LOL. However, I know how frustrating even a few blemishes can be! So I totally get why you want to get to the bottom of this. Since everyone is unique, some people find that their skin reacts to certain groups of ingredients. By ‘reacts’, I’m mostly referring to an inflammatory response. This reaction, on its own, could spark a pimple to pop up but before we default to certain ingredients being a no-no for your skin, I want to discuss another possible explanation. This also is applicable whether we’re talking about internally prompted detox via diet and/or supplements, or an externally prompted detox via skincare products. Generally, the more often you go through a detox, the less severe the breakouts are each time. If following a healthy lifestyle, fewer toxins need to be purged over time. This includes if the person is focused on detoxifying internally and externally. 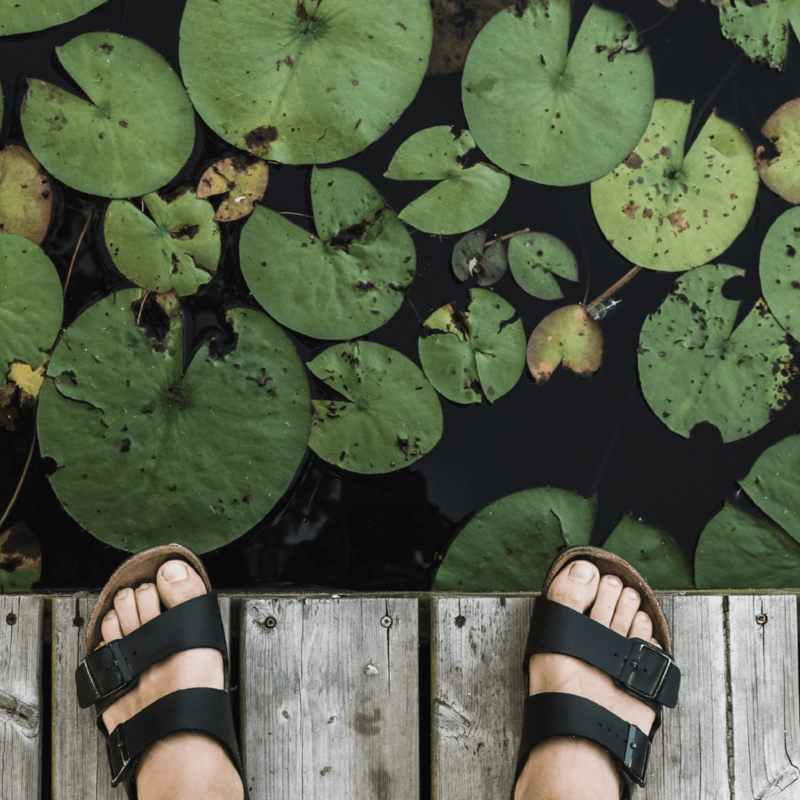 Eventually, the detox becomes about just clearing any recent toxins and not about clearing an accumulation of toxins that have built up over time. 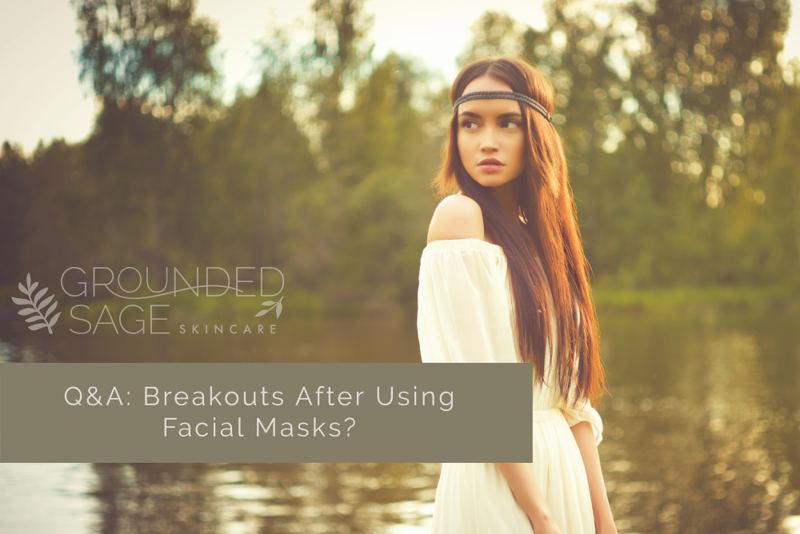 When the person has reached that stage in the cycle, breakouts are a lot less likely to occur. If they do, it might only be a small blemish or two that clears up quickly. I’m not sure if that’s what’s happening here, but it’s possible. Like I mentioned, I’d need more information. However, if you find that your skin is clear without the masks, just want to skip them in your routine. *Primary = detox. Secondary purpose (which are often just as sought out) depends on the mask. For example, the secondary purpose of the Dead Sea Mud Mask is to give the skin a dose of helpful nutrients. 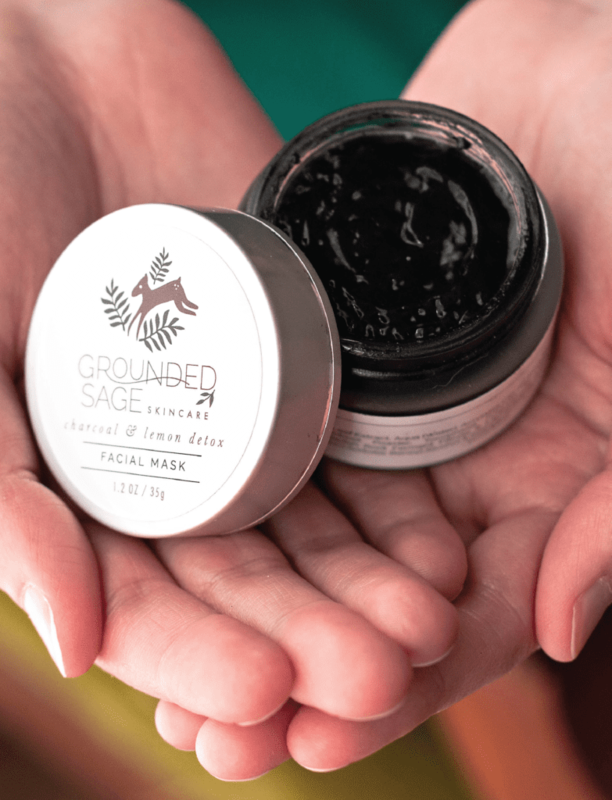 There are other ways to detox your skin (if that’s your goal for using the masks), like using the Charcoal CP Soap, or focusing on detoxing your body internally (skin supporting teas can help with that). 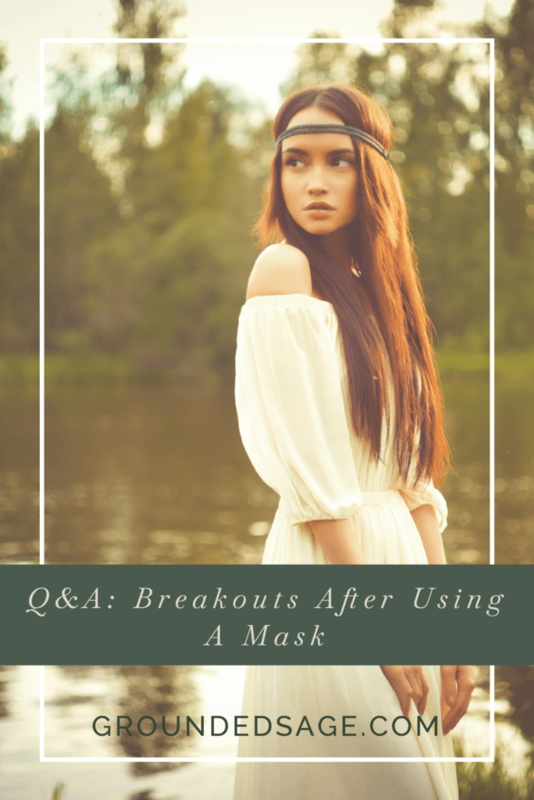 If your goal for using the masks is reducing hyper-pigmentation (acne scars, redness, etc), then there are other ways to do that too, that I can help you with. You mentioned that you like the extra cleansing once a week from the masks. A few suggestions I have to get an extra deep cleansing in, without using the masks, is to use either the Charcoal CP Soap or the Pineapple Facial Scrub. I mentioned the detoxing powers of the Charcoal CP Soap above, but it also helps reduce hyper-pigmentation. As for the Pineapple Facial Scrub, it has a whole host of great benefits too. Reducing hyperpigmentation is one of them. Another is that it exfoliates on two different levels; one of which clears out dead skin cells and other debris inside our pores. I talk about this more on the product page for the Pineapple Facial Scrub.As far as using the masks for spot treatments- The best way to use them for that purpose is to first apply the Quick Stick Acne Fix, then dab a little bit of mask over top. Others find the quick stick on its own works much better. Phew – this is turning into a novel so I’ll wrap it up here. I hope I was able to help! Please let me know if there’s anything else I can help with. P.s. To anyone else reading this- If you’re experiencing breakouts after using a facial mask, check that there are no pore-clogging ingredients included in the formula. Also, check for ingredients that can cause irritation. Irritation leads to inflammation which results in there being less room in our pores for debris to exit from.